I noticed there weren't a lot of Wallflower scans, and I specifically remember there being an Anime Insider issue that featured the anime, so I decided to dig it up in my stacks on magazines and... viola. I love this! And yes, you're right, there just aren't enough wallflower scans out there. Or enough wallflower anything, really. 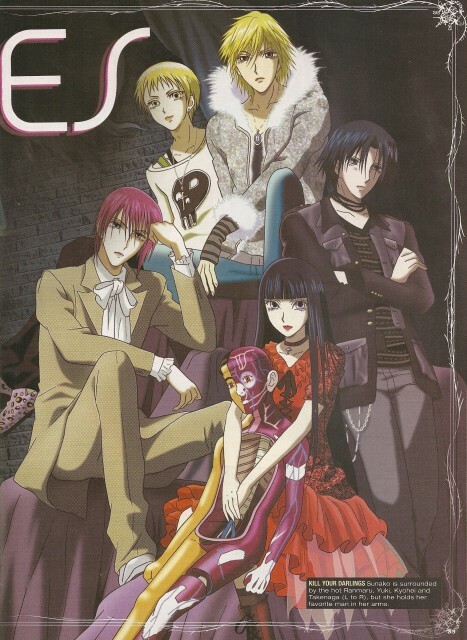 I really like Sunako's dress, and Takenaga's outfit! I always thought Ranmaru looked like a woman though.... lol. Thanks for posting something new! four handsome guys and a weird gal who's a total freak - lol! a very nice scan!thanks for sharing! hiroshi-kuuun! xD thanks for sharing! You're awesome. Thanks for hunting down the picture! <3 Great Scan! this is so cute! ^^ I really like it! i like this so much..
? Great scan! ... ?